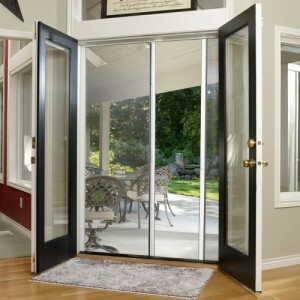 The Legends double door retractable screen system works well for French doors and sliding doors. 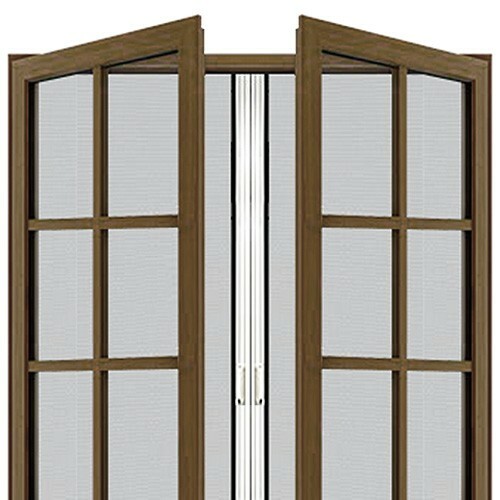 The Legends double door retractable screen is a great solution for pocket sliding doors and for even large single swing doors. The maximum width for a double door is 72" in width and 84" in height. 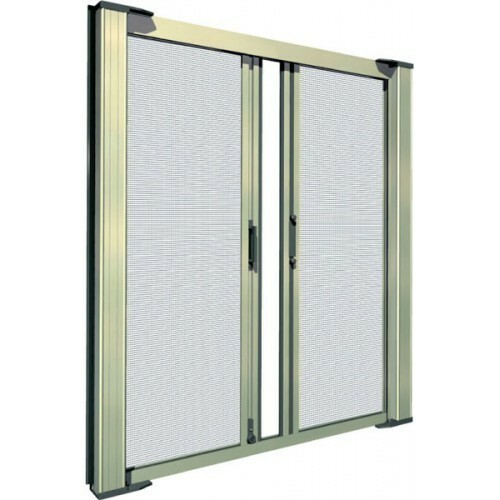 NOTE: The retractable screen must cover the entire opening for sliding doors including sliding glass doors with one fixed panel. When retracted, your Legends screen is almost invisible. Legends retractable screen doors solve the challenge of providing insect protection, light and heat control, without compromising the architectural beauty of your property. The Legends retractable screen is virtually invisible and is extended only when your doors are open to let in the cool breezes. Legends' standard insect screen has a weave of 18 x 16. This keeps most bugs out, but still allows for ventilation, view and provides about a 30% sun block. Other screen fabric options are available. The self-cleaning Legends retractable screen sweeps the fabric during every retraction, ensuring minimum maintenance and maximum view. Legends screen guide tracks are deep, and have weather strips that hug the screen fabric. This Legends Retractable Screen Kit is for customers who are interested in saving money by using their DIY skills to partially fabricate and install a retractable screen. Our kits are designed to fit a range of sizes. The housing comes with the spring end assembly installed, and a single cut sizes the housing, screen material and pull bar to the exact dimensions needed. The guide tracks can be cut together to the size required for your opening. Optional Sloped Sill Wedge Shims available for sloped thresholds. Please call for more information.